That's very nice and wonderful! And I want to reprint this mod to a Chinese Minecraft forum www.mcbbs.net. It's the largest Chinese Minecraft forum. Before doing that, I need your permission. I'll show them the original and mark you as the author. Thank you. It is not possible for me to dismantle the solar panels with any kind of wrench. You can use a pickaxe on them! Dunno why wrench won't work though; it used to. Thanks so much, dude. God bless you. P.S. 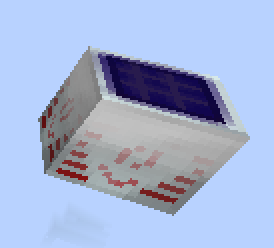 2: Can you please make the compact solar helmets to recharge IC2 portable power packs like and Energypack or a Lappack? Waiting for a reply. I'm also having this issue on version 1.10.2. Nothing is connecting to the Solar Array. Running v5.0.8 build 331. Suggestions? IC2 got released for MC 1.11.2 for not so long ago. Does this mean that u'r going to release a MC 1.11.2 version of Compact Solars aswell? Ic2 released an update and it's causing a crash with compact solars. May I have the crash log? I've been unable to recreate this crash. My mistake it was advanced machines causing the problem. Are there deobfuscated versions available for 1.10.2? I'm trying to make an addon. in the newest version of ic2 compact solar arrays lost their GUI, can you please fix it?